It is fitting that our planet be called “Mother Earth.” Out of the Earth’s crust comes life in infinite variety. Trees bearing fruit, fields yielding crops and shrubs growing herbs all depend on soil health. The animals feeding on them do, as well. And humans. Speaking of which, human ingenuity allows gardeners to start plants growing before the natural topsoil will accommodate them. Carefully following steps long established through trial and error, anyone can learn how to make potting soil. Is all soil simply dirt? No. Topsoil is dirt, i.e. a combination of sand, clay, rocks and organic matter like compost and manure. Although potting soil can vary in composition, more often than not it has no dirt. Topsoil is for growing things in the ground whereas potting soil is used primarily in containers. Often, but not always, seedlings grown in potting soil are transferred to topsoil in gardens or farms. Since plants have grown up and withered in topsoil, it is nutrient-dense. On the other hand, it might contain weed seeds, funguses and bacteria. The constituents of potting soil are controlled by the gardener. This is why it is good to know how to make potting soil at home. 2.5 gallons of peat moss. 2.5 gallons of vermiculite or perlite. 1.25 gallons of cow manure compost. 2 cups of fine sand. 2 cups of time-released fertilizer pellets. Of the different varieties of peat, sphagnum is commonly used and preferred. Holding up to 12 times its own weight in water, sphagnum decomposes more quickly than older kinds of peat moss. To enhance aeration and drainage some gardeners use coarse builders’ sand. Coarse builders’ sand has its pluses and minuses but many gardeners opt for a fluoride-based volcanic rock called perlite simply because it is of lighter weight. Others use vermiculite because it can hold air and water better than perlite. The fertilizer supplies the necessary nitrogen, phosphorous and potassium while the lime adds calcium and magnesium. Sphagnum peat moss is a tricky element. Its water retaining power can inhibit needed draining. This is why pre-treating it is advisable when learning how to make potting soil. Wetting the peat moss before introducing the other ingredients allows the water to infuse the moss without affecting the other components. 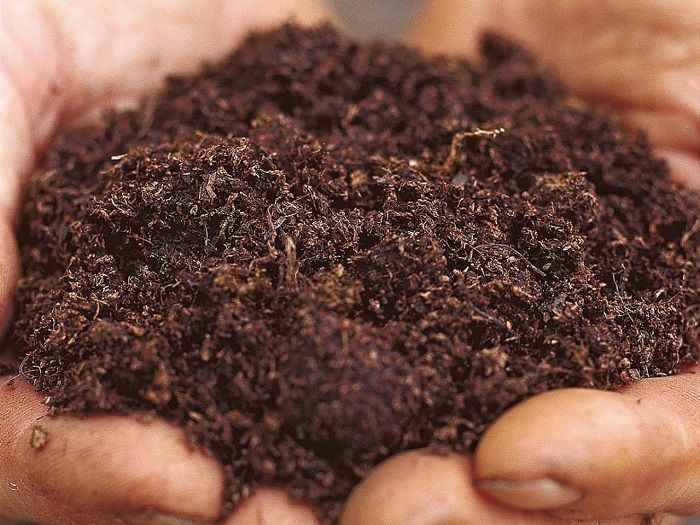 Since peat moss stays bouncy and wetting peat moss must take place in isolation from the other potting soil ingredients. In addition to its plethora of nutrients, cow manure can contain unhelpful elements that you best get rid of. One rule of thumb applies: if you recognize any decomposed matter in the manure, it has to go. The proper way to do this is to sift through a half-inch wire mesh. Mounting a section of hardware cloth fencing to a wooden frame over a wheelbarrow makes a perfectly adequate sifter. Dump the manure on the hardware cloth and shake the frame. Stalks and stems, wood and even rocks may show up above the mesh. After shaking, work the rest of the manure through by hand (covered by thick rubber gloves, of course). Pots, boxes and tubs for garden plants can be made of clay, terracotta, plastic or other materials. Whatever the mode, they need to be clean before pouring soil. Unwashed containers may carry the residue of minerals, bacteria, insects and fungi, all of which can adversely affect plant growth. One of the pros to starting in pots is the lack of existential threats living in the garden soil. That benefit is canceled if those dangers reside in the pot. A coarse brush will remove hardened soil and debris within and without. Subsequently, wash the vessels using dish soap, a cup of vinegar and either a brush or textured cleaning pad. Remember: they should be hospital-clean before depositing the mix inside. Different plants thrive under varying conditions. Soil acidity (or pH), for example, may be high for the best blueberries but neutral for robust sugar beets. Store-bought potting soils are often neutral (7.0 pH), which may not be optimal for certain kinds of plants. Although the cow manure will raise pH, it may not do so sufficiently. However, a fertilizer with the ratio of three parts nitrogen to one part phosphorous to two parts potassium will usually do the trick in raising pH to an acceptable range. Take care to combine the fertilizer and lime before adding them to the larger mix. This is an important caveat in how to make potting soil. 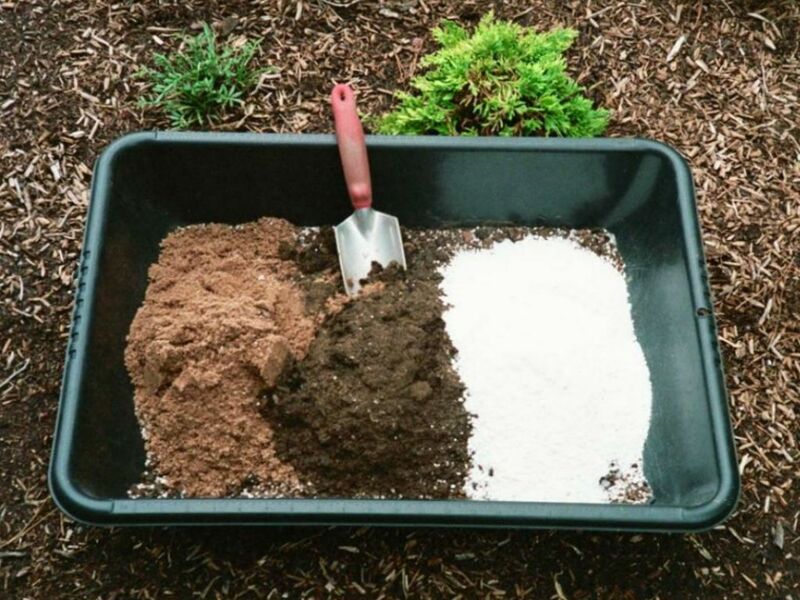 Merge the moss, perlite, sand, manure and lime/fertilizer together. Integrating these elements for the potting soil does not simply involve stirring them with a giant spoon. Yes, they must be blended but that is just for starters. A best practice is to sift the mix as is done with manure. This process will refine any large chunks left amidst the components. Clean the hardware cloth vigorously before running the mix through. Again, manual manipulation is called for since the peat moss will resist being strained. After all is said and done, you will have a good working potting mix to rival anything sold at a garden center. Fill the garden boxes, pots and tubs at will. The accuracy and precision with which you follow the above steps is always at the discretion of the gardener. As noted, the many types of flora have just as many peculiar needs relative to moisture, sunlight, temperature etc. Tweaking the instructions or adding other steps may help or hurt. The bottom line is that learning how to make potting soil at home is a process upon which gardeners can make continued improvements. Hey Buddy!, I found this information for you: "How to Make Potting Soil at Home". 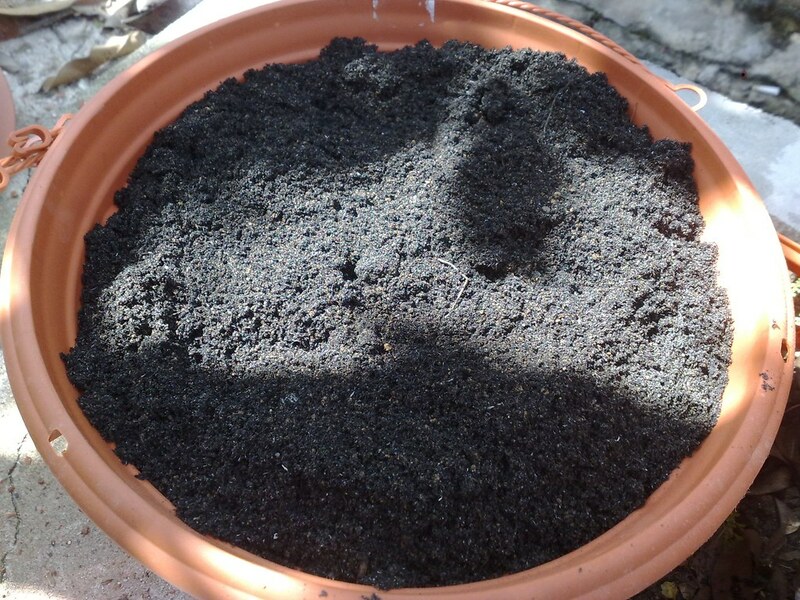 Here is the website link: https://backtofarm.com/how-to-make-potting-soil/. Thank you.